A customer favorite, our one piece romper has the cutest bum around. 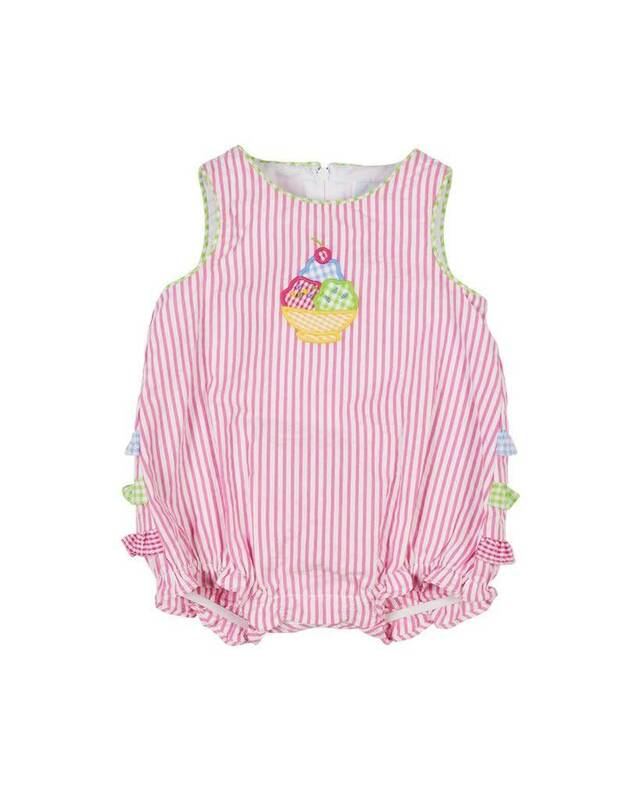 Ruffles on the back, ice cream applique on the front. Made in easy care seersucker.